Google, Inc. is a publicly traded company on the NASDAQ stock exchange. It was founded in 1998 by Larry Page and Sergey Brin. Great teamwork starts with a clear vision and the right culture. What Google, Inc. started with was their vision of clear information to the world. Keeping to the vision gives people meaning to what they do. With no vision, why do anything, why work at Google Inc? I believe people need to have significance in their life and strive to get significance everyday. Also, Google Inc. valued culture and even initiated a Chief Cultural Officer to develop and maintain the culture to keep to the core values of the company. Google Inc. has their “Googleplex”. It is the main office which has workout rooms, video games, weights, rowing machines, and the list goes on. They even supply free food 24/7 for their employees. You may be asking yourself, what does this have to do with teamwork. They are building a culture they view will help change the world in a positive way. Google Inc. builds on the strengths of their team. Their team even has a name for themselves, the “Googlers”. How many sports teams do you know that do not have a name? None that I can think of and I would not like to play for a team with no name. This is not an individual type business. Each team member has their place. What this tells me is that Google Inc. understands that their team is the key to their success. That is why they give back to each of their team members as per the previous paragraph. To have a great team and excellent teamwork, you need a great vision that is believable and desirable to people. Then you need to get the right people in place to live the vision. The leadership at Google Inc. is strong and are disciples of the vision. When you have that, you have a team. Even with Google, Inc. is making billions and billions of dollars, they still keep to the roots of the vision and culture with allowing the team to be innovative and creative in their daily work activities. Great teams are built on this premise and that is why great people from around the world desire to part of the Google Inc. team. The future of email-is there one? And, if not, what will fill the void? In my opinion I think that email is surviving because of the business world. The future of email is slowly starting to diminish because of all the other ways that we as humans can communicate. Since facebook, and twitter has come along email is taking a back seat to these new and improved ways to communicate. With the formation of technology that we will see in the near future email will slowly disappear, and I think in as few as ten years will be non existent. Since we have so many people working in the widely varied business world, some of the older people aren’t up to the new technology as the we the younger generation is. They are used to using email because it is really the only way they have ever communicated. The newer, and younger generation know what email is but are given many other ways to communicate in a fast way. Facts show teens between 18-24 share 76% of there content via facebook. The same age group only 70% share there content by using email. As I stated before the older the age group the more that generation still uses email. The same chart shows that people that are ages 65 and older use email 97% of the time, and facebook only 24% of the time. The good thing about email is that your content is a lot more private that if you post something on facebook. If you post something on facebook you are more likely to say something wrong, and pay the price for it. In the same aspect when writing an email to someone the only person that knows what you said is you and that person, not the whole world. I think that email will survive for a few more years than facebook, and twitter will eventually take up the internet. Why I say facebook is going to fill the void is because of how huge it has become in just the few years it has been available. Facebook has become so huge and is involved with everything we do. Technology is going to keep changing, and new ways of communicating are going to keep being available for humans. Email was the start of something good that has now changed the new ways we can communicate. If it wasn’t for email I don’t know where we would be today, but facebook is the new communication tool, and the future of communication for a long time to come. Conan versus Leno: Who’s the better speaker and why? Look, everybody knows what happened. First Leno screwed Letterman out of The Tonight Show in 1993, though Letterman was clearly the better choice. And then in 2009 when Jays The Jay Leno Show bombed, he d idn’t want to leave television. So he screws Conan over. 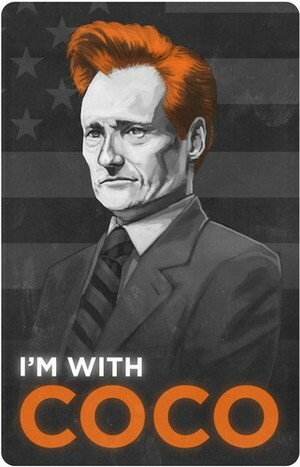 Now, I’m not saying it was all Leno, but, in my opinion, Conan O’Brien should be the current host of Tonight Show. So much of what separates Conan from Jay is the writing. Being a former writer for the Simpsons and Saturday Night Live, Conan understands this. If there’s not a well-written script, the jokes will fall flat. The difference between the writing styles is this: Jay writes his jokes as stand-up comedy. Conan writes his jokes as a gag. Both are very solid in their styles, but a stand-up comedy style can miss the point, or just be un-funny all together. If you go back and watch old Johnny Carson episodes, you can see that his style was a lot like Conan’s. More of a physical, slap stick style. And just like Conan, he could deliver a punch line straight-faced before laughing with his audience. A big difference between Jay and O’Brien are their audience. Jay Leno’s target de mographic is the 25 and up range, where Conan’s is the 17 and up range. Conan connects to a younger audience. I think the biggest issue with why Conan failed on the Tonight Show, was because some where along the line, Conan felt that he needed to add some reverence to the show, being that he was gaining Jay’s audience as well as his followers. And, I think that his fan saw right through it. Though he didn’t leave his style behind completely, Conan did definitely water it down some. Gone were the days of the “vomiting Kermit” and his over-the-top entrances that he began every show with. I my opinion, he should have changed nothing about his show other than the name. This proves true now that he has in show on TBS. His format has returned to the same as before, and his ratings have come back. But, what really proves Conan the better speaker is this; while Conan was off the air for seven months, he toured the U.S. and Canada. Putting on a show that included him playing music with his house band and doing stand-up. Conan can control a crowd. Just his presence gets people in the laughing mood. With the younger generations and the baby boomer generations mixing in the work force it is important that each generation contributes and learns from one another. The younger generation will be able to know and understand the newer technology and techniques that they have learned from school. The older generation can teach the new comers from their years of experience on how the business world operates with the competing companies and what it takes to be successful. It is important that they both learn from each other so that the company they work for can be successful. For a company to be successful in today’s competitive market requires them to stay up to date with the changes in the world, and at the same time to have employees from each generation work together to combine the best of the new with the proven successes of the past. A person that is coming out of high school will know and understand the newer versions of how grammar has change. They will also, be able to understand how the newer technology, how it works and how the internet is used as a resource much better than the older generations. As the baby boomers are coming to retirement ages they can show the new generations of their experience at work. They can also show how to handle certain ethics and situations that have come up in the past in their line of business. In certain careers there will be a certain way of how an employee needs to handle information and distribute that information. Sometimes a work place needs to find out how the world has change the way that the process in APA and MLA has change. Other times you learn that the business likes how the old way was and you learn from the older employees that stay with older styles of MLA and APA. The main reason is that you want to keep up with the way the business and the people in that career field are most comfortable in. If the business wants to keep up with the changes of the world then the baby boomers will learn from them. If the business feels comfortable with the old style then the new and young generation will relearn how the old style was from the baby boomers. Each generation has something to offer, which can make a business a greater success. Tweeting one’s self out of a job – how do you juggle social media and your career? Facebook, Twitter and other social media are all freely used at the job site and during the hiring process. Even if you are searching for a job social media can be helpful. So, how do humans balance using them and actually working? I think it really depends on the type of job itself and whether you have the job or are searching. Do you really think fast food places actually take the time to look at a possible employee’s Facebook or twitter account? Lies! Those places are so busy and are always hiring that it probably doesn’t matter at all. I know from personal experience in my younger teen years working at McDonalds there were times I would walk in that place and post on my wall how much I hated it, or when someone dropped someone’s food and still served it. It happens all the time. Fast food restaurants simply do not care, in my opinion. As far as businesses like car dealerships, government jobs, sporting equipment stores etc. These companies care a little more about the kind of employees it hires. During the hiring process, from the time you fill out the application until about a week after the job applied for has been filled, these companies check people’s social media sites. As long as you know not to post degrading comments about the place you are looking to be hired by, DUH! Or post pictures with you holding alcohol or smoking weed and that drunk/high look on your face from the crazy night you had last night at a friend’s 21st birthday party. You will be fine. Personally I work at Hibbets Sporting Goods in Greensburg, Indiana and I have known people to get fired over social media. The kid just simply did not get the fact that they couldn’t have their phone in the store during their shift. Let alone be on Facebook posting and commenting to his friends about last night’s run from the cops. They would post dumb things like, “wish I was at the house with a beer in hand watching TV.” Come on man. Then they were smart enough to add their boss, on Facebook, while at work. The boss knowing that we did not have a extra computer to get on Facebook, therefore knowing the employee was on their phone that they can’t have in the store. Not Smart! Let’s look at some instances that social media has literally cost someone. Chad Ochocinco, National Football League (NFL) wide receiver, was fined 25,000$ for using Twitter during a game in violation of the social media policy in the NFL, an actual policy that he broke and was fined for it. The NFL and other professional sports have social media policies. What makes you think businesses don’t? Just about every big name in professional sports have twitter accounts, LeBron James, Drew Brees, Chad Ochocinco, Tom Brady, Alex Rodriguez, Kobe Bryant, Michael Jordan, Ray Lewis, even commissioner of the NFL Roger Goodell. All they are doing is providing entertainment for sports followers, not saving a life, fixing the economy, working in the government, working in a sport store or working at Wal-Mart. They get fined big money for using them while they are at work. Social media is huge, very easily accessed and equally as detrimental to whether you get a job, or keep a job. Balance wisely possible employees. Now on the other hand social media could be good for the hiring process. If you fill out your bio page, and your profile and keep them updated employers have something else to look at when deciding whether to hire or not to hire. Always post up to date information on those pages and keep them updated. Also, in this world of technology we, social media users, know there are ways to keep people from looking at your pictures, posts, comments and statuses. It’s called the privacy setting or just not friending your boss on Facebook.